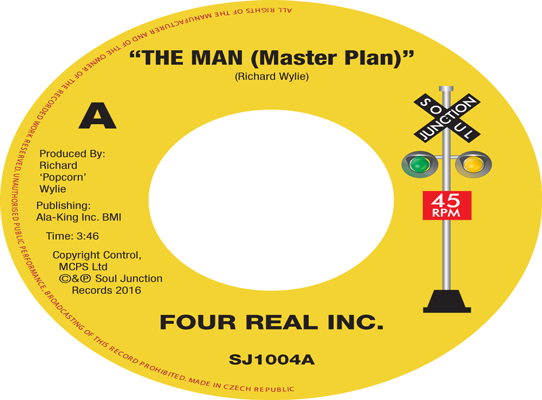 Four Real Inc’s “The Man (Master Plan)” (Flying Eagles 129) has become a desirable and popular 45 within the current European funk and rare soul scene due to its raw, funky but soulful appeal. 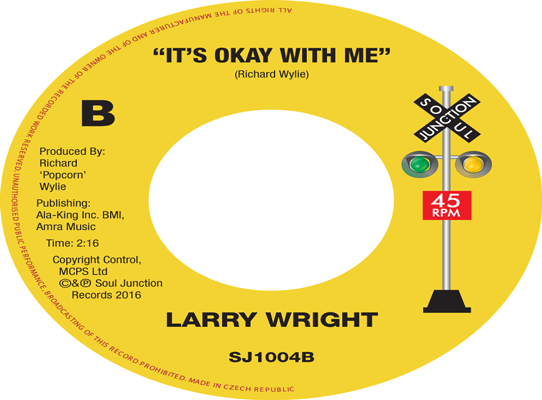 This 1975 release was written and produced by Richard ‘Popcorn’ Wylie in collaboration with Therman Hollis of TMT productions (Tomorrows, Music, Today). The group was made up of some of the members of the former sixties outfit The Tempos who previously worked for the former Marquee boxer turned record label owner Diamond Jim Riley, for whom they recording several excellent releases which appeared on his Diamond Jim and Riley’s logos respectively. One of the aforementioned former Tempos was the late Buford ‘Fabb’ Glanton a session guitarist and the lead singer of Four Real Inc, who later recorded a further Flying Eagles/TMT production “It Could Have Been You” under the pseudonym of David Lenyard And The Music Tree. Fabb had previously worked as a session guitarist and arranger on several of Popcorn’s earlier Soul Hawk sessions on groups such as the Mighty Lovers and The new Holidays. The original flipside of “The Man” upon it’s U.S release was a song called “Ghetto Blues” an abbreviated title of a reworked song that Popcorn had previously recorded on the Jive Five (Featuring Eugene Pitt) entitled “Blues In The Ghetto” during the mid 60’s at Musicor Records. Popcorn’s time at Musicor would see him heavily involved in the production team headed by veteran producer Luther Dixon that were given the task of reviving the fortunes of the 1950’s hit making group ‘The Platters”. Recorded in the Motorcity, these sessions would feature some of Detroit’s finest musicians and songwriters and provide the Platters with a string of hit singles “I Love You A 1000 Times”, “Sweet, Sweet Lovin’”, as well as the Wylie and Hester penned classics “Washed Ashore (On A Lonely Island In The Sea)” and “With This Ring” (which also featured on their “Going Back To Detroit” album) all of which played their part in returning the Platters to their former glory. So returning to the present and given this current demand for Four Real Inc we at Soul Junction records have decided to re- release “The Man (Master Plan)” but in doing so we have made the decision to drop the original b-side “Ghetto Blues” in favour of another of Popcorn’s more notable b-sides the highly desirable and delightfully soulful “It’s Okay With Me”. The flip to Larry Wright’s pounding Detroit dancer “Sweet, Sweet Kisses”, his solitary release for the A-Go-Go label.